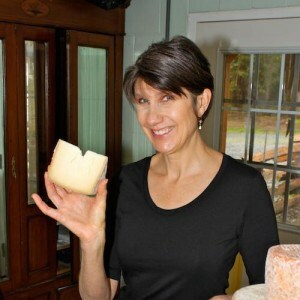 Home » ask the cheesemonger » Are Some Cheeses Lower in Calories and Fat Than Others? Are Some Cheeses Lower in Calories and Fat Than Others? I’m on a diet. Are some cheeses lower in calories and fat than others? First let’s think about the fat and calories found in milk. At its most basic, cheesemaking is the removal of water from milk—nutrients remain constant in the milk, with some exceptions. If a producer starts with high-fat milk, he or she will likely end up with a cheese that’s high in fat. Thus cheeses made from high-fat milk—sheep’s, water buffalo’s, Nigerian Dwarf goat’s—are usually highest in fat and calories. Don’t forget, though, that some cheesemaking techniques allow for more or less fat to be captured in the cheese curd. (For example, soft fresh cheese, such as fromage blanc, retains more fat in the curd because the curd isn’t cut and stirred while it is forming.) A few cheese recipes call for the addition of extra fat, such as cream (triple-cream bloomy rinds); others have fat removed (such as Parmigiano-Reggiano, which is made from part-skim milk). Luckily for those counting fat and calories, grating cheeses that are high in protein and lower in fat brim with flavor thanks to flavor compounds that develop during aging. In general, stick to goat’s and cow’s milk cheeses, which are relatively lower in fat. And chew on this: Recent studies have shown that full-fat milk from grass-fed or browsing animals is an excellent source of essential fatty acids and conjugated linoleic acid. These fats are key to overall health and (somewhat paradoxically) contribute to natural weight control by helping the body build muscle mass instead of fat.